The safe standing debate has been going on for quite a while but very much in the background until recently. I think the break through moment was when the inquiry into the Hillsborough tragedy was concluded with the verdict that Liverpool supporters were not to blame for the incident where 96 football fans, like me and probably you, if you are reading this passed away. Rightly so, the safe standing debate was put to one side as the families of those who lost their life were battling to remove blame from the Liverpool fans in Sheffield that night in 1989. There was an unwritten agreement that the campaign would only really begin if the families of those 96 Liverpool fans and Liverpool fans in general gave the go ahead. Last year, the Spirit of Shankly supporters group in Liverpool surveyed just under approx. 20,000 Liverpool fans with 88% backing rail seating / safe standing and in a similar poll done by the ArsenalSupporters Trust which reached approx. 15,000 supporters, 96% supported the concept of safe standing. This was a clear sign that fans wanted safe standing back in the English game. The families of the 96 Liverpool fans, via the Spirit of Shankly, visited Celtic who were carrying out a trial for safe standing and some of them were supportive after seeing the facilities in Scotland. Other clubs such as West Brom and Cardiff have tried to conduct similar things and are working on appeals, after being initially rejected at government. Ultimately, the government are in control of the situation and have the power but in a petition signed by over 100,000 people are now set to debate / discuss it in parliament on June 25. Labour, have also recently supported the campaign and the Arsenal Supporters Trust were present in a meeting with the Shadow Sport Minister, Rosena Alli-Khan, who announced the backing at Loftus Road recently. The Premier League are also now involved and in a meeting again where the Arsenal Supporters Trust were present, admitted they have beenasked to review safe standing. All the signs are that it’s moving in the right direction and supporters are being urged to contact their MP, if they support the concept of safe standing with fan groups now contacting their clubs to seek their views and are beginning to put some pressure on as it’s clear that the majority of football fans want it. What would safe standing mean in my opinion? Let’s get one thing straight, supporting safe standing doesn’t mean you have to stand when you go and watch your club play football. A potential standing section would amount to a small percentage of a ground’s capacity. At the trial at Celtic, 3,000 seats were replaced by 3,000 people standing – it was one for one. Long term this may change and Arsene Wenger, when in charge of Arsenal, spoke highly of safe standing and the potential to reduce ticket pricing, but we’re a long way away from that. 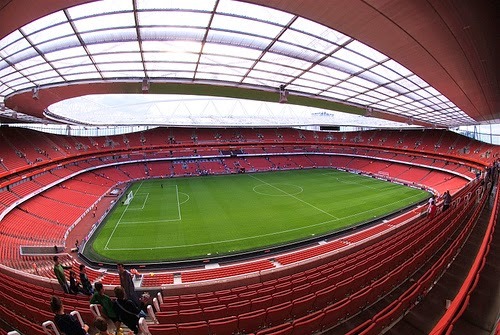 At the Emirates, even if 5,000 become safe standing, the rest of the 55,000 would remain as it is (3,000 goes to away fans) so we’re likely to have more demand than supply which means anyone not part of the demand, will be unaffected (unless they currently sit in the place where safe standing comes in – they may need to be moved in that case). I remember at a football supporters meet up where someone was very passionate about safe standing because he believed it would improve the atmosphere and be great for young people but when asked if he would want to stand, he said ‘no, I’m too old, but just because it won’t direct benefit me, it could benefit others and benefit the club who in return will get a better match day atmosphere’. That’s the view, I’m sure, of many supporters who have views on atmosphere, seating, ticketing but may just not be able to be part of it anymore. There will be teething problems – safe standing may mean further and more stricter policing of seated areas and those not lucky enough to get into the safe standing section, may be forced to sit more than they do now (it’s pretty common to stand during exciting moments) with persistent standing to be taken quite seriously. There will be a higher demand for the standing areas so there would have to be a system in place but if it all worked, how great would it be to have a section that can go head to head from an atmosphere side with the away fans? The atmosphere at the Emirates has always been debated and while it has improved in my opinion for the big games, it may just need another injection and safe standing could be that. It may encourage younger people to get involved more; it may encourage supporters who follow the team away only to come to home games and we may get a proper singing section to drive the team forward in games. The old cliché about the 12th man being important could begin to be a thing at Arsenal again. I’m all for safe standing, as long as it’s done with no risk attached and is 100% safe. If there are any doubts, the plug should be pulled but going all over the country and looking at conditions in the home and away ends, it’s actually becoming more dangerous to stand in a seated section and that alone, could end up being more dangerous than having a safe standing section.